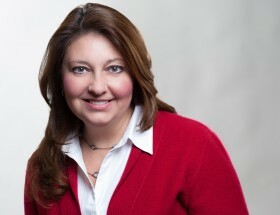 Bridget has more than 20 years of experience in the reimbursement consulting industry. Her expertise is in the areas of biologics and injectable drugs, across medical specialties such as nephrology, neurology, oncology, cardiology and immunology. Bridget has worked with local Medicare contractors on behalf of manufacturers to develop and implement coverage and payment policies for a number of services and technologies. She has expertise in working with clients on reimbursement issue resolution, and developing and implementing sales force reimbursement training. One of Bridget’s strengths is in designing and implementing provider advocacy strategies. Her work includes creating clinical trial transition programs, commercial drug patient assistance programs, and reimbursement information programs to ensure access to care. In addition, Bridget currently serves as Director of Operations for DKP. In this role she focuses on internal processes and management of daily operations. Bridget started her career at Health Technology Associates (now Covance) and held various positions during her tenure. She then joined Quorum Consulting Inc as Director of the Coverage and Reimbursement Services Division. 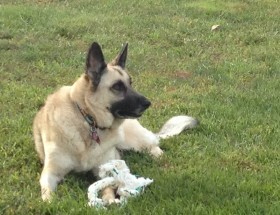 Kelly is a beautiful, blonde German Shepherd. She is the fierce protector of the Metcalf family. She is happiest when outside on a sunny day, playing with a tennis ball and chasing her younger sister Molly. Kelly abides by a strict daily routine. Her day starts by taking her human sister to school each morning, then a walk, then spends time in the office where Bridget is working. She has the ability to tell time and alerts Bridget when it’s time to retrieve the human sister. Kelly is also known for her powerful puppy stare as she has the ability to make you do anything that she wants by simply looking deep into your eyes. No one can resist her. She is also a talker and uses her range of howls, barks, moans, and snorts to get her message across to any listener. 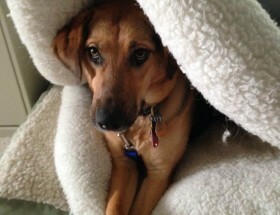 Molly (aka Molly Monsta) is a mixed-breed rescue from Southern Virginia. She is part German Shepherd, part Beagle (we think) and mostly adorable. Her tail is always wagging. She is bright, energetic, and mischievous and will never hesitate to give a big slobbery kiss. As playful as she is, though, she has a very important job. Whether it be barking at birds or staring intently at squirrels, she loves to chase anything that moves, including her big sister Kelly. Her role in the house is to make everyone laugh, whether it’s taking Kelly’s leash and “walking” her or doing her army crawl across the floor.